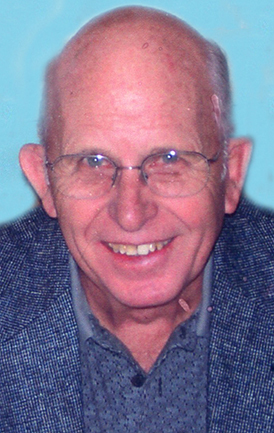 Services are scheduled for 2 p.m. Tuesday, Nov. 6, at Immanuel Lutheran Church for Delmer E. “Cub” Cuthbertson. Cuthbertson, 87, passed away Tuesday, Oct. 30, 2018, in Roswell. Pallbearers will be Mike Shetterly, Ron Friesner, Richard Earenst, Jerry Eickoff, John Fauver and Steve Franklin. Honorary pallbearers are Harold Friesner, Augustine Torres and Roger Jones. Cub was born Nov. 21, 1930, in Winton, Wyo. He was a longtime resident of Artesia. He grew up and spent his early years in Winton, which was the site of a company town for the three underground coal mines of the Union Pacific Coal Company. Life in the coal camps of Sweetwater County, Wyo., was unique in that the camps were small, close-knit, and located in direct proximity to the mines. The population that Cub grew up with was fluid, with residents moving to and from the various coal camps as mines opened and closed. It was a population that had a surprising breadth of ethnicities, as the mines provided work for many who had immigrated from all over Europe. That small town had within its population families from Spain, England, Italy, Yugoslavia, Austria, Czechoslovakia, Scotland, and other parts of the U.S. The work and life were hard in many ways. First, in that time, it was dangerous in the underground mines. Cub lost an older brother due to an underground accident. His father died ultimately of coal black-lung. Secondly, it was hard in that work was highly variable depending on the price of coal and the needs of the railroad and other markets for that coal. That put economic stress on all, as they would always be worried about stable work. Only on those days when there would be work was a sign posted outside of the mine office announcing there would be “Work To-Morrow.” Many days, there was no sign. While Winton had a grade school, as you became older, you had to travel to other coal towns that were larger, such as Reliance, Wyo., or Rock Springs. Because of that and changing economics, Cub graduated from Rock Springs High School in 1948. Upon his graduation, he had his mother sign the paperwork for him so that he could enter the U.S. Army at 17. He enlisted in the Army Air Corps and originally began his career in Radio School. After finding that he was not well suited for that, he transferred into the firefighting brigade at the Naval Air Station in Dallas, Texas. On Oct. 24, 1949, he married Dolores in Sagerton, Texas. Upon his discharge from the Army, the couple lived in Stamford, Texas, then moved to Artesia in 1953 for work. In Artesia, Cub worked a variety of jobs, including working as a butcher at Nelson’s and for Southern Union Gas. He then got a job at Continental Oil at the Artesia refinery, where he worked until he retired from Navajo Refining after 39 years. He worked in a variety of positions at the plant, such as on the gas furnace, the shop, the lab, and the loading rack itself. Cub was a longtime member of Immanuel Lutheran Church in Artesia, serving in a variety of elected roles. He became a Lutheran through the influence of his mother, who was a Swedish Lutheran, and his wife, who was also a Lutheran. He took both his work at Navajo and his worship and duties at church seriously, for “duty” was a hallmark of his personality. If he needed to make a personal change to do his “duty,” he would do this quietly and willingly. Cub enjoyed life and nearly always approached it with a smile and laugh. He was known for that smile and genuine courtesy that he would show to all, and that is part of why he will be truly missed. Even in his last days and hours, that courtesy and grace remained undiminished. Throughout his life, he had a variety of interests, from reading, travelling and tying trout flies, to taking Dolores up to Inn of the Mountain Gods for a getaway, to just going out to various restaurants in Artesia to see and speak with people. He loved people and seriously regarded what they had to say. Cub also loved his family and was a steady influence on them. In 1953, he and Dolores had their only child, Gail Ann. Tragically, she preceded them in death in August 1972. He provided loving care to his wife of 67 years, Dolores, as she preceded him in death in November 2016. He was also preceded in death by his parents, James and Odga (Edd) Cuthbertson; brothers Andrew, Ray, Harold (“Big Cub”) and James; and sister Gloria. Survivors include nieces Marilyn Kay McGonagill Link and Raylene Barber; and nephew Michael McGonagill and wife Candi. The family wishes to thank all of the special caregivers who made his last days pleasant and comfortable.